Māori traditionally bury the placenta of a newborn baby in a special place. 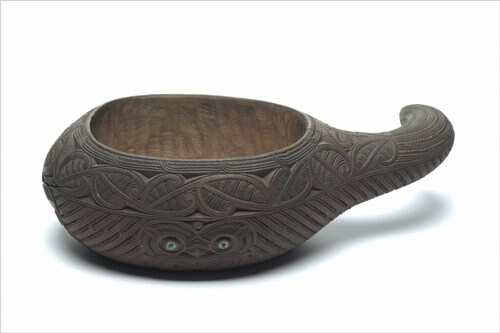 This was often done in vessels called ipu whenua, which were originally made from gourds. This replica ipu whenua was carved by Jacob Heberley of Te Āti Awa from tōtara wood.